AVer Information Inc., leading provider of business and educational technology solutions is the number you want to have on speed dial. 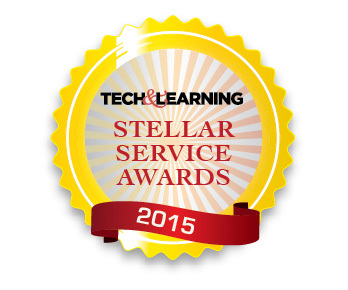 Emerged as Tech & Learning Magazine's Stellar Service winner for Best Tech support, AVer is recognized for its quick, friendly, and knowledgeable IT support. "Our relationship and dedication to our customers is what it's all about. Part of providing a quality product is the service that comes with it,"
states Arthur Pait, President of AVer Information Inc. Americas. AVer's Technical Support Team are well-trained experts providing customers the support they need through extensive web support with US based live chat, e-mail, and phone services. AVer is committed to delivering exceptional customer service and ensuring the highest standard of technical support. Every interaction is treated with impeccable quality and professionalism resulting in effective solutions for customers.